of RAF Coastal Command at RAF Davidstow Moor, 21 August 1944. The Bristol Type 156 Beaufighter, often referred to as simply the Beau, was a British long-range heavy fighter derivative of the Bristol Aeroplane Company’s earlier Beaufort torpedo bomber design. 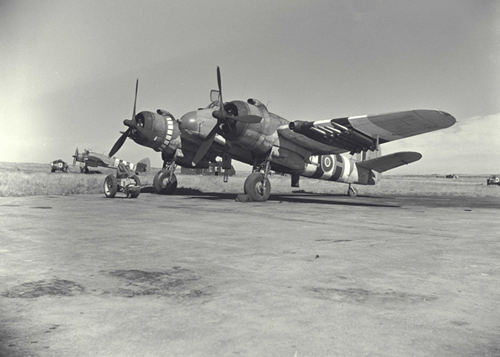 The name Beaufighter is a combination of the words “Beaufort” and “fighter”. Unlike the Beaufort, the Beaufighter had a long career and served in almost all theatres of war in the Second World War, first as a night fighter, then as a fighter bomber and eventually replacing the Beaufort as a torpedo bomber. A variant was built in Australia by the Department of Aircraft Production (DAP) and was known in Australia as the DAP Beaufighter. I was contacted by the Conservation and Collection Services of the Canada Aviation and Space Museum with a query about the colour of the aircraft. I was able to help them with the correct British Standard colour that had been applied to the aircraft. The museum aircraft is a collection of components left after a RAF restoration, and was received in exchange for a Bristol Bolingbroke. No engines, cowlings or internal components were included in the trade on September 10, 1969. 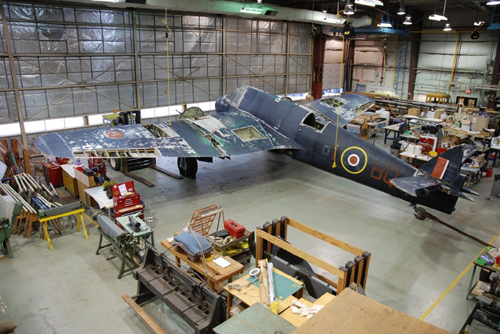 You can follow the restoration of this aircraft on the museum website and on their Twitter page. 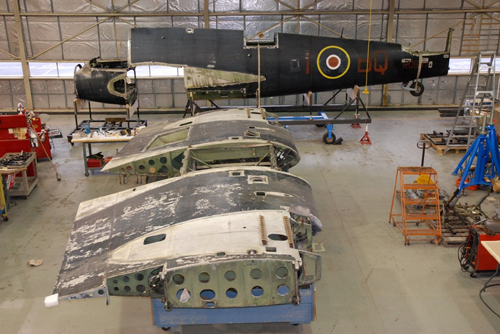 I am most grateful to the Canada Aviation and Space Museum for permission to use these images showing the aircraft being disassembled. Bristol, would this be the same company/family that produced the Bristol car ? Yes, that’s right. At the end of WWII the Bristol Aeroplane Company began working with AFN Ltd, who were makers of Frazer Nash cars before the war. By July 1945 they had created a Car Division and bought out AFN. Can you help at all ?